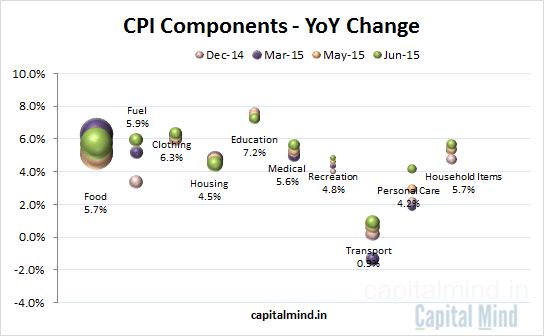 Food inflation is up over the last month , but so are every other subcomponent except education and housing. 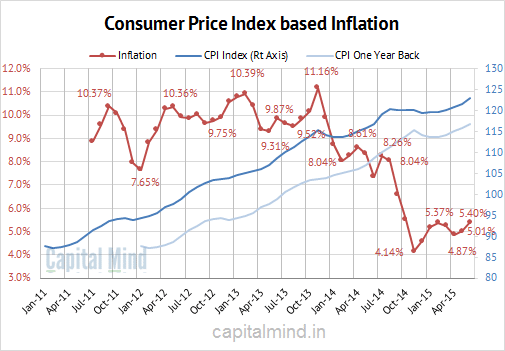 The upward pressure on inflation is surprisingly large. And finally, what is a serious worry: Core inflation comes back up to the highest level since October 2014. 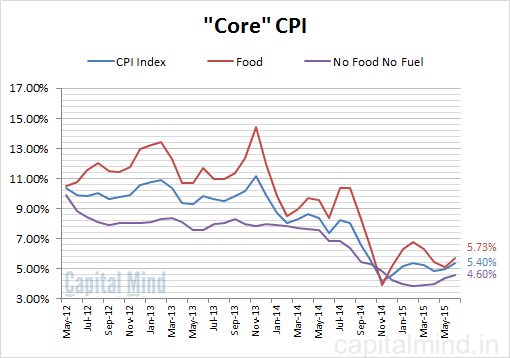 Remember that core inflation is the index minus food and fuel. If we remove those, core inflation is up to 4.6%, the highest since October 2014. This is important because in October 2014, crude crashed. That took a lot of prices down. Come October we won’t have that base effect anymore. And if prices are rising even in core territory, it’s a little dangerous. Banks have hardly, if any, cut their lending rates. Unless they do so, there will simply be no cut by the Reserve Bank (unless there is a crisis, because India in a crisis is like China). So we don’t expect the RBI to cut rates. 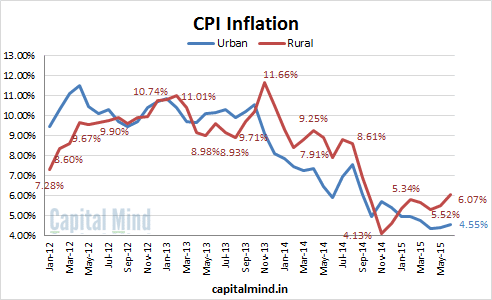 This inflation headline number (5.4%) is largely within RBI parameters (it expected 4.4% to 6%) which therefore would not worry it too much. And the core inflation rise is only nascent and a source of future worry (post October). At this point we don’t expect any action from the central bank. Markets will probably have a bigger issue with results or worldwide issues, and brush away the numbers on inflation.